Burgers are not just burgers at Wholly Cow! 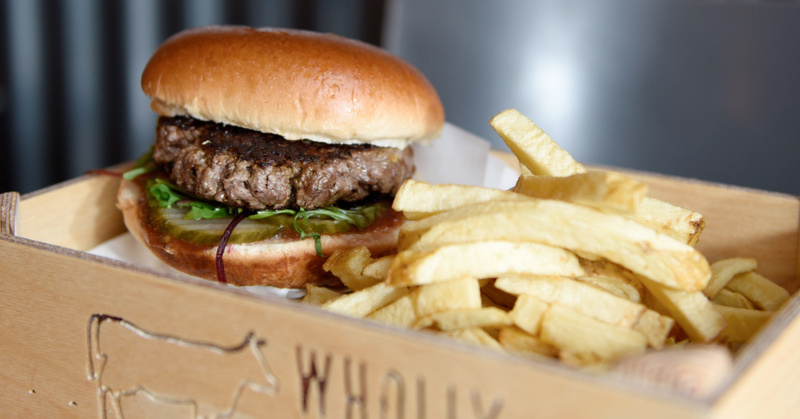 Galway City has some of the best burgers in Ireland with Wholly Cow Burgers Newcastle Road becoming one of Galway’s finest burgers joints in town. Celebrating its first birthday recently Wholly Cow Burgers has fast become famous amongst its growing customer base for their mouth-watering flavours, succulent meats and their delicious homemade fries made fresh daily. Using locally sourced aged beef from Gort, Cashel Blue cheeses, Dubliner cheddar combined with seasoned pickles, homemade juicy relish and fresh brioche buns served with biodegradable, eco-friendly, compostable utensils in a chilled, casual setting makes for the perfect burger experience. Owners Val and Jacinta Lynam set up Wholly Cow Burgers just over a year ago with an “all-natural, feel good, taste amazing” concept. They believe locally produced food is often healthier and tastier than products that have travelled long distances. They also believe that supporting local economy helps strengthen the community they live in. Val is the head chef and is passionate about transparency in every sense. The kitchen is open so that customers can see what is happening from the relish stewing for 10 hours, the fresh potatoes being peeled and cut into fries, the burgers being grilled, the pickles sitting in tarragon, fennel and dill producing the most delectable flavours, the whole mechanics of the kitchen is on display. 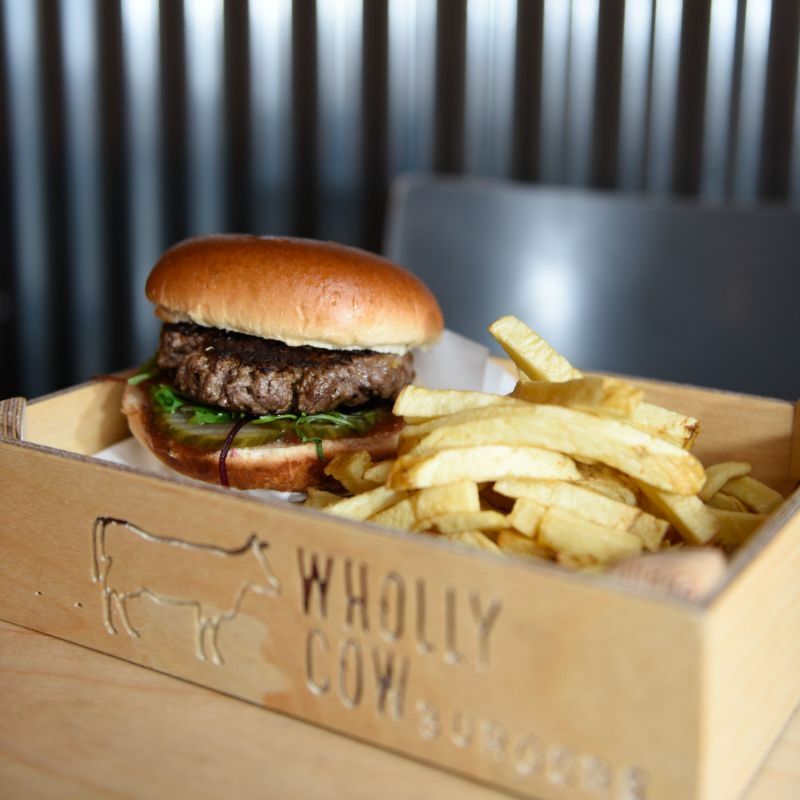 Wholly Cow burgers have a carefully chosen menu to suit all taste buds, their Bacon Blue Burger containing an aged beef, juicy bacon, Cashel blue cheese and Val’s homemade relish is a definite favourite. Their vegetarian option is a chickpea and coriander veggie burger with Kimchi Aoili, pickles beef tomato in a glazed freshly baked brioche bun with gluten free options available. 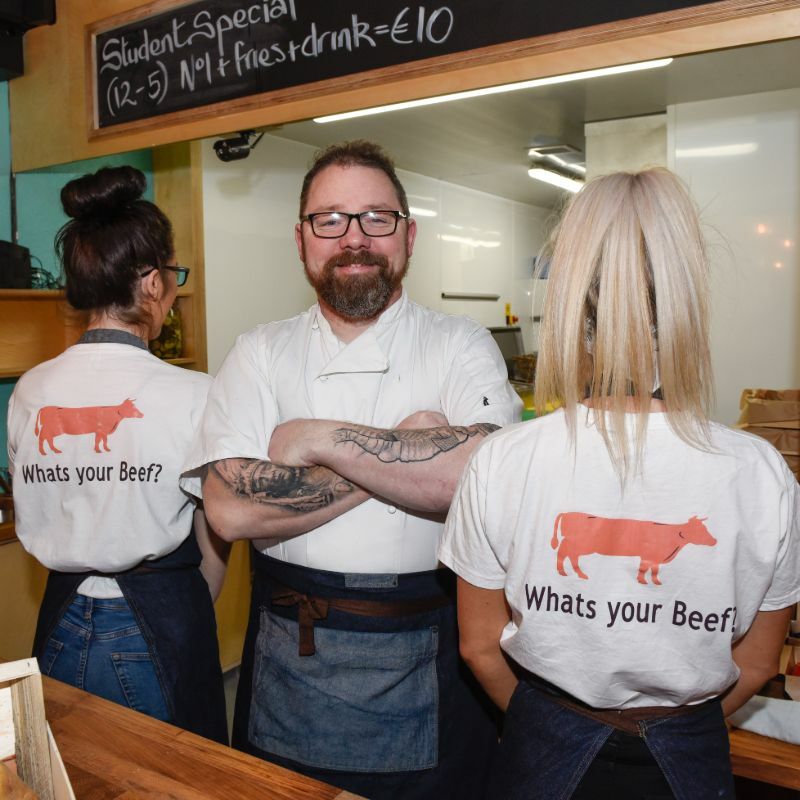 Wholly Cow Burgers are open Monday to Sunday 12 noon to 9pm with lunch specials daily or call in for a delivery, ideal for students, NUIG staff, UHG staff and of course anyone in Galway who wants a really good burger. 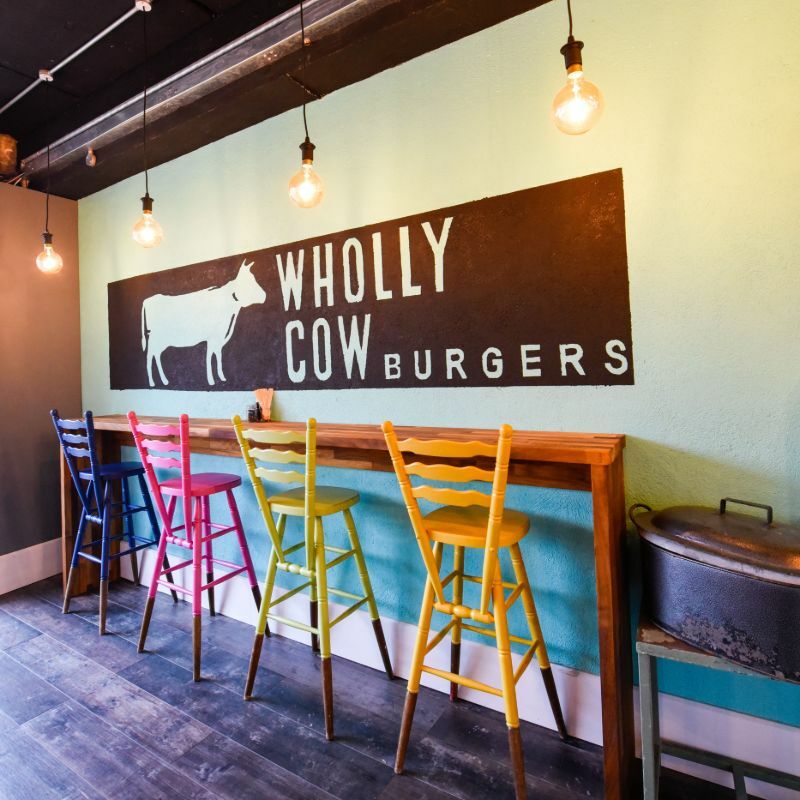 Wholly Cow Burgers, Newcastle Road, Galway 091-586888.